Winnipeg ‐ Gateway Autobody Ltd has been officially Certified by Certified Collision Care, a non-profit consumer advocacy organization for maintaining theright tools, equipment, training, and facilities necessary to repair the participating Automaker brand vehicles according to the manufacturer’s specifications. 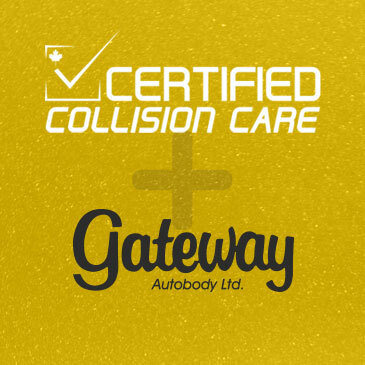 In achieving their Certification, Gateway Autobody Ltd is now an integral part of the most advanced repair capable and efficient collision repair network in the world. Adding to their credentials, Gateway Autobody Ltd is officially Certified by Certified Collision Care, Fiat Chrysler Automobiles, Ford Certified, Kia, and Nissan Canada. According to Gateway Autobody Ltd President, Kelly Kostynyk, “With the complexity of today’s vehicles, it is critical to select the right repairer. We are proud to receive this official certification and these automaker recognitions, illustrating our investment and commitment to our customers.” The Certification criteria are based upon auto manufacturer requirements. These are critical to ensure the vehicle fit, finish, durability, value and safety following an accident. As new model vehicles are being introduced that use light weight high strength materials and advanced technology, a proper repair according to manufacturer specification is even more important than ever to ensure the passenger safety and proper performance of the vehicle. Auto manufacturers want to ensure that consumers have the option of Certified Collision Repair wherever they live, work, or travel.